Our goal at the Invasive Species Action Network is to get everyone cleaning….and we mean everyone. Many activities can inadvertently spread invasive plants or animals, including hiking, angling, boating or four-wheeling. 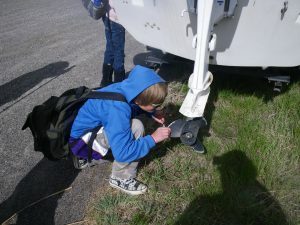 If each of us can take simple steps to ensure that we are not moving invasive species on our gear, we minimize the possibility of spreading species when we recreate. Fortunately, the best thing we can do to prevent the spread of invasive species is easy. When we move between waters, we clean our gear. 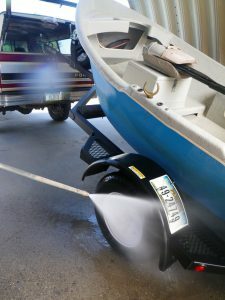 It is good to know about the different invasive species that are cause for concern, but more important is to practice the cleaning habits that prevent the spread of any invasive species: clean, drain and dry. It is up to each of us to take action to protect our waters from invasive species. The Invasive Species Action Network follows clean, drain and dry practices without chemicals of any kind. Using chemicals to clean your gear comes with its own set of unnecessary risks. 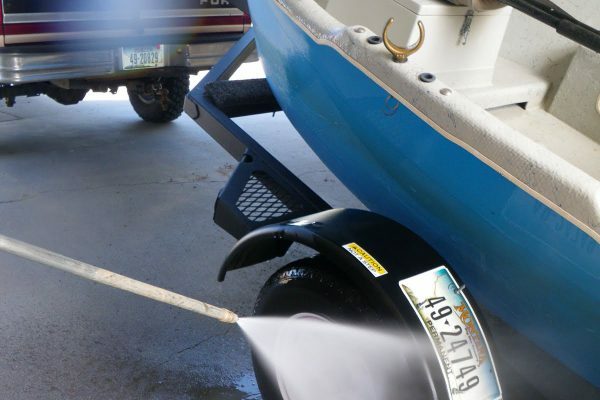 For every activity – Clean, Drain and Dry. One pound of mud is brought to the stream on boots with every 27 anglers. About half of recreationists never clean their gear. Many invasive species can last for a week in moist conditions (like mud). Many recreationists visit multiple locations within seven days. Gear Cleaning: Does It Make a Difference?